ADULTish's Brendan Sokler attended the WWN&EVOLVE Pro Wrestling present EVOLVE 99 event out in Brooklyn. Well what is WWN? Is that the same thing as WWE? Short answer is no. WWN Is the World Wrestling Network a network of independent professional wrestling promotions under one umbrella with EVOLVE being the flagship promotion of that network. While EVOLVE is not WWE they do have a relationship. Over their 99 shows so far you can see many current WWE superstars having graced an EVOLVE ring including: Daniel Bryan, Cedric Alexander, Drew Gulak, and so many more. Speaking of Evolve 99 we caught up with Gabe Sapolsky, the booker and founder of EVOLVE. He is the mastermind and writer for all things EVOLVE, he ran Ring Of Honor during the CM Punk Bryan Danielson years, and he studied under the tutelage of Paul Herman in ECW. 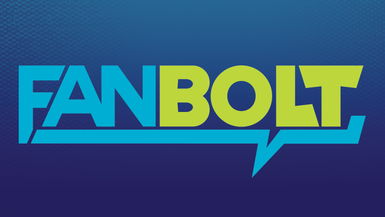 We talk to Gabe about what Indy wrestling is and where EVOLVE is headed, only on FanBolt!